Blood flow restriction training is one of the newest training tools to hit both the rehab and performance worlds and with good reason, there is a lot of research coming out supporting the use of this modality for strength and hypertrophy gains. In the first part of this article series, we’ll run through a quick overview of the science of blood flow restriction training. In part II, we’ll cover the practical application of BFR for performance gains. Download the e-book that teaches you how to implement blood flow restriction training now! See my previous article on “The Best BFR Devices“. The majority of research focuses on looking at strength and hypertrophy gains during BFR training. Research on traditional loading requirements for hypertrophy during weightlifting suggests loads as heavier than 65% of an individual’s one rep max (1rm) must be used to create hypertrophy gains. So a 200lb bench presser must bench at loads greater than 130lbs to create a hypertrophy response. Research on blood flow restriction training shows that loads as low as 20-30% of 1rm can create the same hypertrophy stimulus! Other research looking at strength gains has show significant increases in strength during BFR training. Compared to typical high intensity training, these strength gains are less, but can still have significant impact on an athlete’s return from injury or their sports performance. Simply put if you add more protein to your muscles than you breakdown, you will build muscle. If you breakdown more than you synthesis, you lose muscle. In traditional resistance exercise, loading the muscle stretches the sarcomeres leading to cytoskeletal matrix damage. An inflammatory cascade follows to build muscle (there is currently multiple theories on this out there but I’m not going into any details). During BFR, measures of muscle damage such as creatine kinase, lipid peroxides, torque output of muscles, and delayed onset muscle soreness (DOMS) are minimally elevated. Meaning in our muscle growth formula, we don’t have muscle protein breakdown! 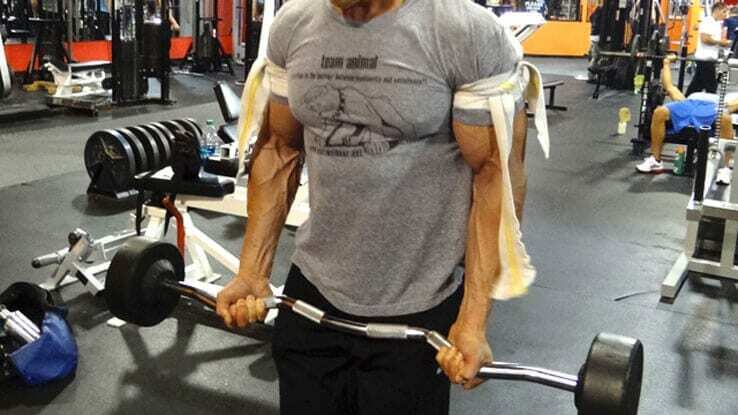 During blood flow restriction training, limited oxygen to the muscle means that the slow-twitch, Type I muscle fibers aren’t very active as they require oxygen as fuel. Instead, the bigger, faster Type II muscle fibers are recruited. To recruit Type II muscle fibers during traditional resistance exercises we usually need to perform exercises at very high intensity. But the oxygen limitations flip that upside down! Why does that matter? Lactate acid is very important to growth hormone release. 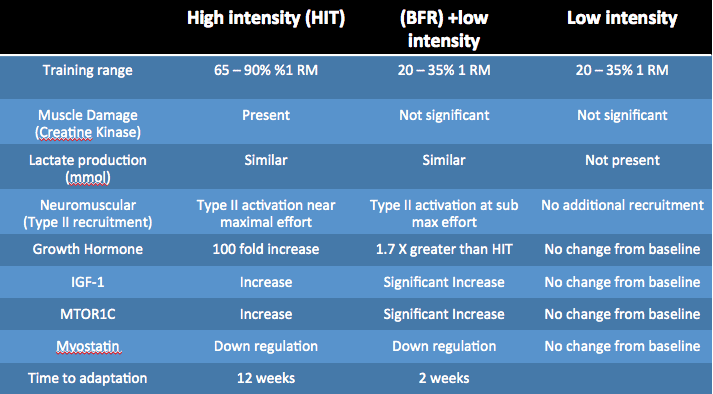 In fact, growth hormone secretion levels are 170% higher after BFR than traditional resistance exercises! Now contrary to popular belief, growth hormone is not involved in protein synthesis or muscle hypertrophy. Instead, it serves a protective role for tendons and muscle collagen structures as it increases collagen synthesis. This has important rehab from injury implications as well as making BFR a great tool for recovery in atheltes. 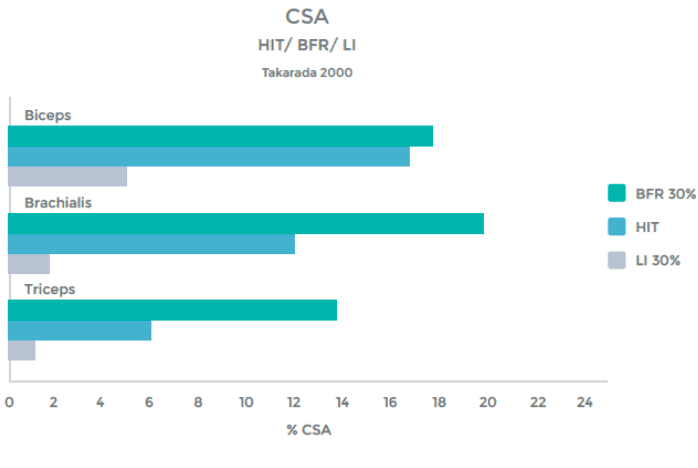 When it comes to the genes and hormones directly related to muscle hypertrophy, BFR has been shown to have significant positive benefits on IGF-1, MTORC1, and myostatin. Meaning that blood flow restriction training creates a large increase in muscle protein synthesis. Back to our muscle growth formula…. A large increase in protein synthesis with little muscle damage means we are putting the body in a very good place for building muscle! As a great case example, elite Olympic weightlifter Jared Fleming tore his ACL at the world championships and did his rehab with me utilizing blood flow restriction training. While lots of research suggests that 65% of patients demonstrate >20% quad weakness compared to contralateral 1 years after ACL reconstruction (Sachs 1989), Jared’s surgical leg was 1 inch larger than his healthy leg three months after surgery! 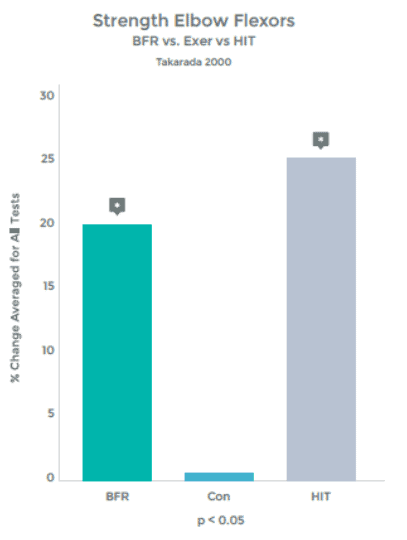 See last week’s article on The Best BFR Devices and stay tuned for the next part of the series, “Application of BFR for Performance Gains”. For clinicians wanting to know more about blood flow restriction training, check out courses offered at OwensRecoveryScience.com.